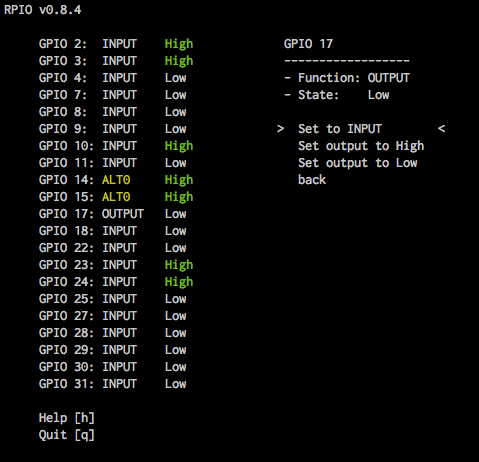 rpio includes two command-line tools which allow you to inspect and manipulate GPIO’s system wide (including those used by other processes). The BCM GPIO numbering scheme is used by default. 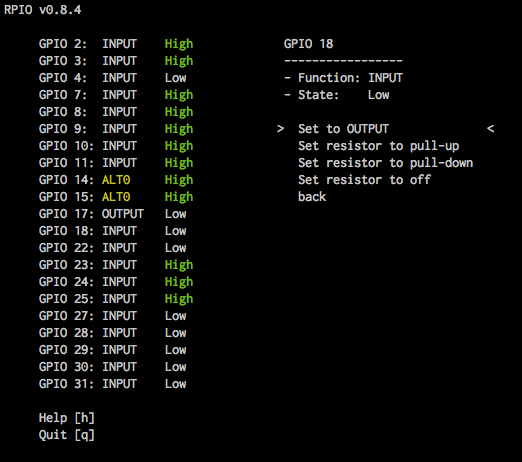 set this yourself with `--setoutput <gpio-id>`. © Copyright 2013, Chris Hager <chris@linuxuser.at>. Created using Sphinx 1.1.3.